Dar Es Salaam City Centre offers plenty of things for visitors to see and do without traveling far. 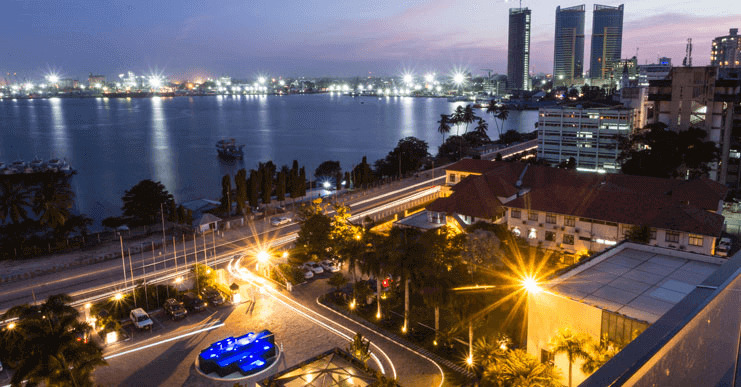 Explore this vibrant downtown area to find local shops, a diverse array of restaurants, fascinating museums, and the beating heart of Dar es Salaam's business district. Visitors can get an authentic taste of the city bustle, learn more about local history at the National Museum and House of Culture or visit historic landmarks like the Dar es Salaam State House. Play a round at the Gymkhana Golf Course and try your luck at the Las Vegas Casino. What stores can I find in the Dar es Salaam City Centre? Dar es Salaam offers rewarding craft shopping and specialty items, especially in the city centre. The Basket House and the Mwenge Handicraft Centre are the perfect places to pick up local crafts and art. Indira Ghandi Street is filled with jewelry shops selling stunning Tanzanite jewelry. Quality Center is a Western-style mall filled with over 70 different shops and a movie theatre. Note that most city centre shops are closed on Sundays. What restaurants are in the Dar es Salaam City Centre? With a food culture based off of both African and Indian influences, dine at some of the best restaurants located in Dar es Salaam City Centre featuring fresh seafood and local spices. Visit Summy's and the City Garden for delicious traditional Tanzanian cuisine. Indian food is abundant in the city and restaurants like Red Onion, Alcove and Retreat Restaurant serve up some of the best in town.